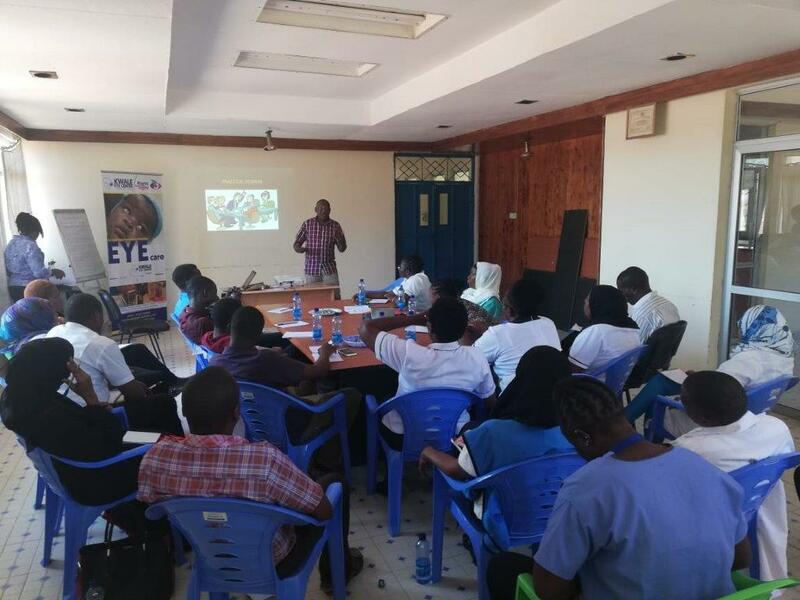 Kwale Eye Centre were thrilled to be able to share their knowledge with staff at the local government hospital recently. It has the largest maternity unit in the county, and we were able to show the midwives and nurses there how to detect signs of serious eye disease in newborns. Things like eye cancers, complications of premature birth, and cataracts can be picked up, and early detection is essential for a good outcome. This training was sponsored by Right to Sight Norway. 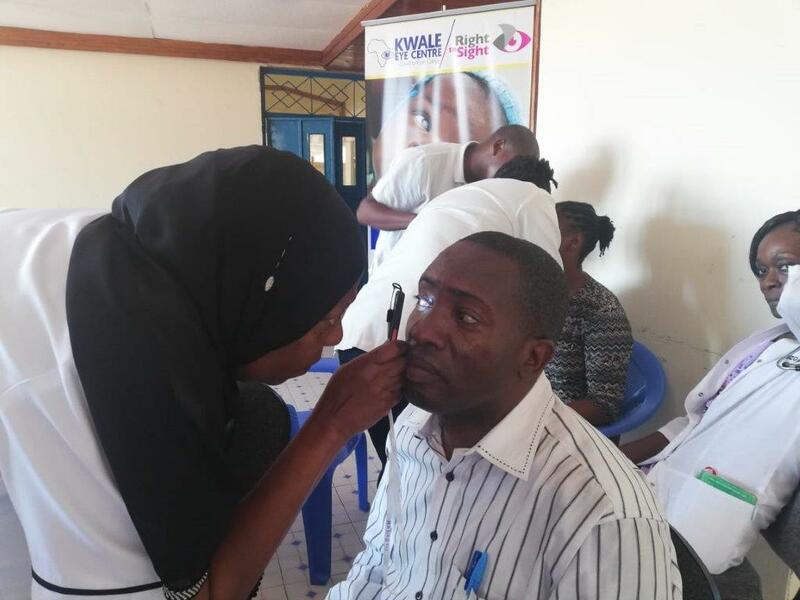 "From February to April we, three Dutch medical students, had the pleasure to do our research at the Kwale District Eye Centre. Our topic was to investigate the level of understanding of diabetic patients visiting the clinic regarding diabetic retinopathy. We studied 460 diabetic patients and concluded that the general awareness amongst them is poor. People think diabetes is infectious or curable and do not understand the importance of regular eyechecks. This is causing unnecessary problems! We wanted to improve this, so together with our families and friends we raised enough money to be able to create a banner on do’s and don’ts for diabetics as well as road signs warning diabetic patients to get their eyes checked on a regular basis. Of course this does not solve the issue, however we hope it is a step in the right direction! We would like to thank everyone at the clinic for making our project possible and our stay unforgettable! Hope we will meet again in the future! " WHAT ON EARTH HAVE THREE ZEBRA HEADS AND ONE BOTTOM GOT TO DO WITH EYE CARE?? 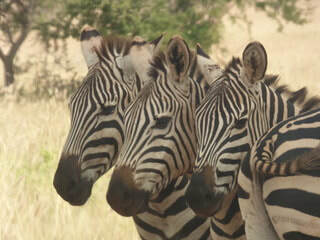 These stripy chaps were captured on film during the annual 'Eye Go Game Spotting' (EGGS) competition. This photo earned the photographer plenty of points. The event raised in excess of £3,000 for eye care.